4 weeks, 8,000 km, 16 towns and cities, 100,000 stars! The “Euroliner” toured Germany for four weeks in order to reach as many people as possible. 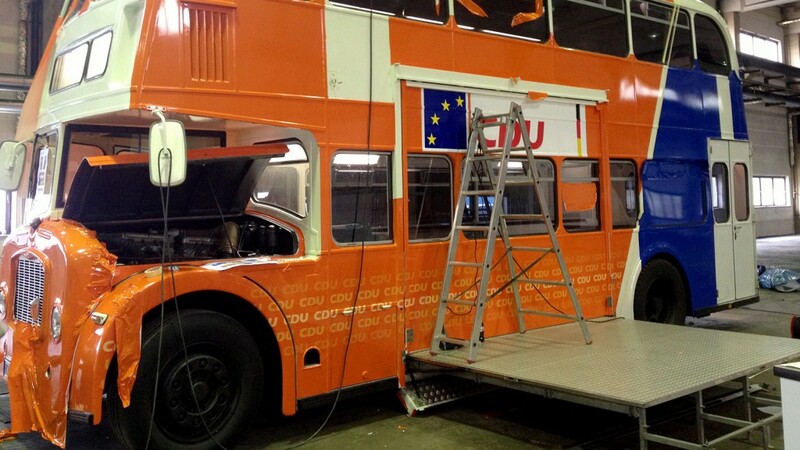 The white London bus, which was over 50 years old, was given a highly elaborate full wrapping so that it gleamed in the colours of both the CDU and the European flag – it was both eye-catching and unique. 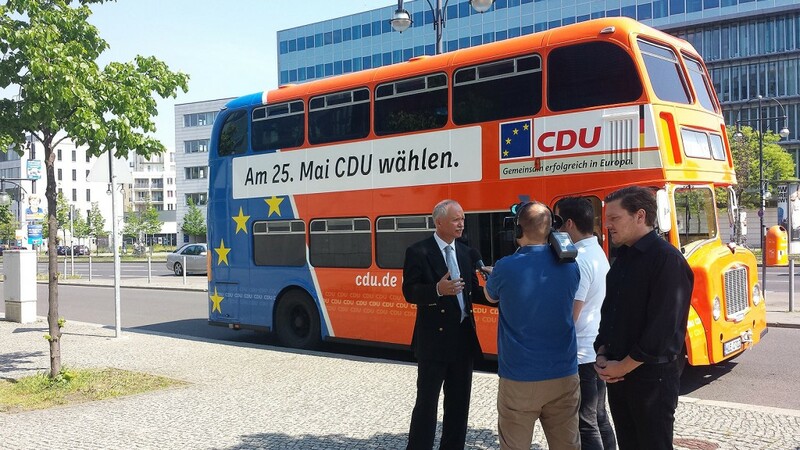 The candidates held interviews, took part in rallies, and used the resulting content in the social web – against the attractive backdrop of the “Euroliner”. 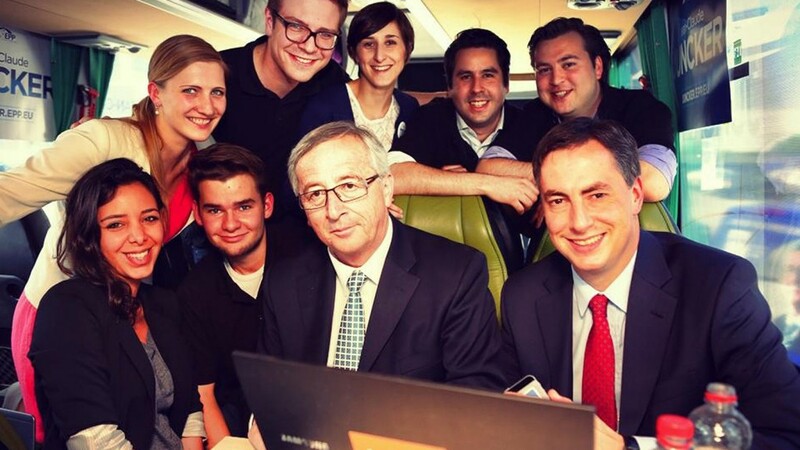 ELECTION – ON THE ROAD WITH THE “EUROLINER”! 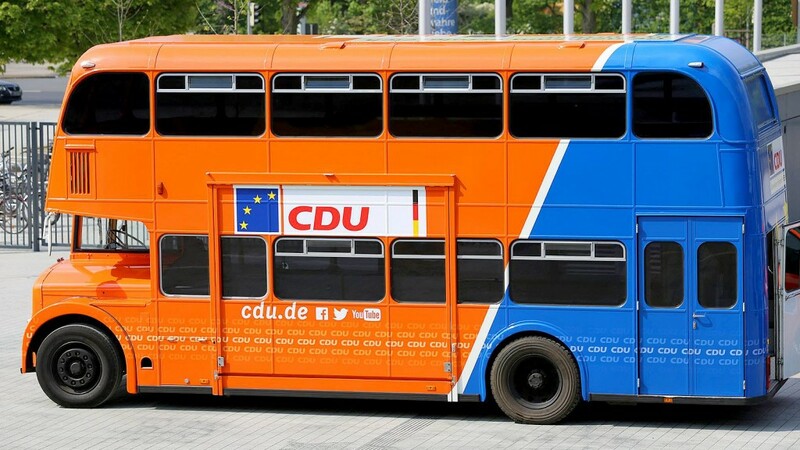 On board were the CDU’s frontrunners and campaign volunteers of “teAM Germany.” The aim was to motivate people to vote and to raise awareness for the work of the European Parliament. Idea, production, design, and implementation: P.O.S. Creative Media, Berlin.